Dadar, the mother of all shopping areas in Mumbai had to be the home to the best store when it came to a matching centre. We've found it, and are sharing our secret. Roaming around the streets of Dadar is a daunting task. The crowd can overwhelm you, heat can get to you, there will be lots of honking and on top of that, taxi wallahs may not agree with your choice of destination. Well, we overcame all of that and found a gem. Maya Matching Centre has been the ladies’ saviour since decades in Dadar, and perhaps in all of Mumbai. You will witness aunties coming with their sarees begging the bhaiyya inside to find their match. And mind you, it can be more tedious than Tinder for them. But not at Maya Matching. They have aced the game. Whether you have a Kolkata-style saree that your cousin gifted you or a Kanjivaram your dad gave you lovingly, you will find its match here. And not just that, they have it in different styles, cuts and fabrics, from silk to cotton and even raw silk, for casual to special occasions. 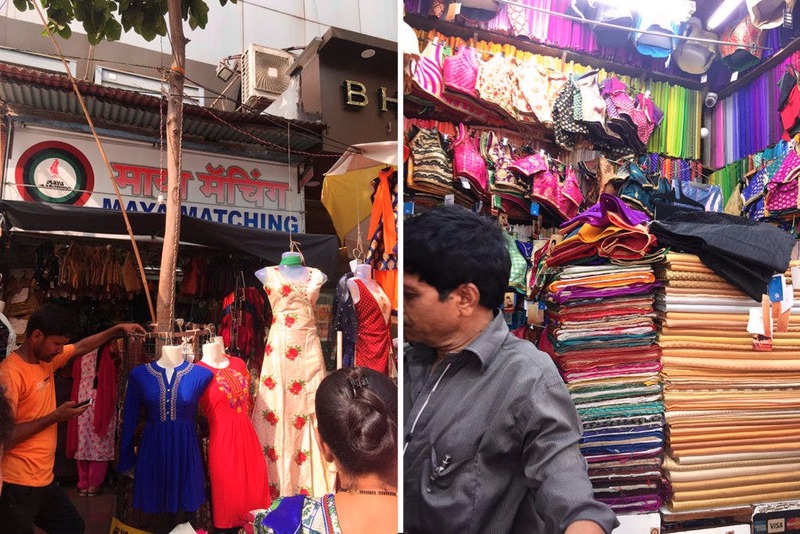 While the readymade blouses start at INR 175 and can even go up to INR 6,000 to INR 8,000; the fabrics start at INR 120 per meter and can go up to INR 450 per meter. We picked up a readymade cotton blouse and it has gotten us off our habit of wearing sports bras as blouses. Thank you, Maya Matching. You will fight for your match here courtesy the crowd but, you will win. Go on then, dust off that old suitcase full of sarees and on to an adventure.